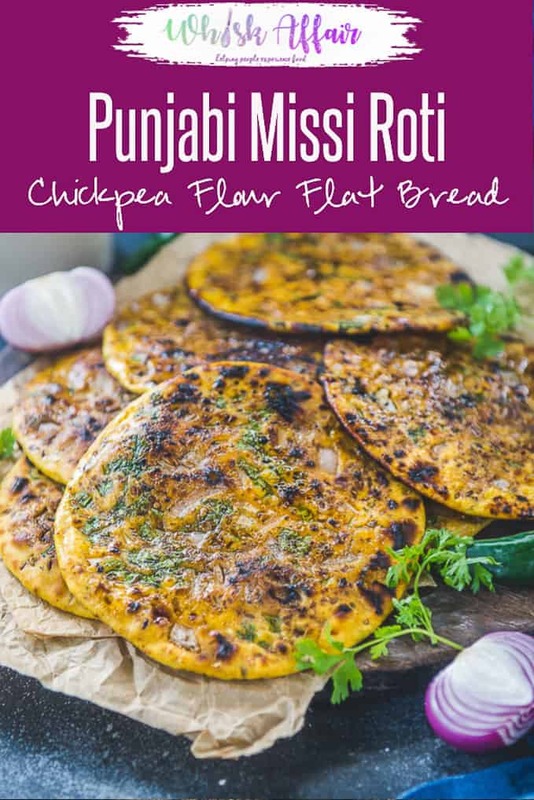 Missi Roti is Chickpea flour flat bread which is a Punjabi speciality and is mostly made during winters in tandoor or clay oven. It is slathered with a good dose of desi ghee before serving and goes well with Indian curries. 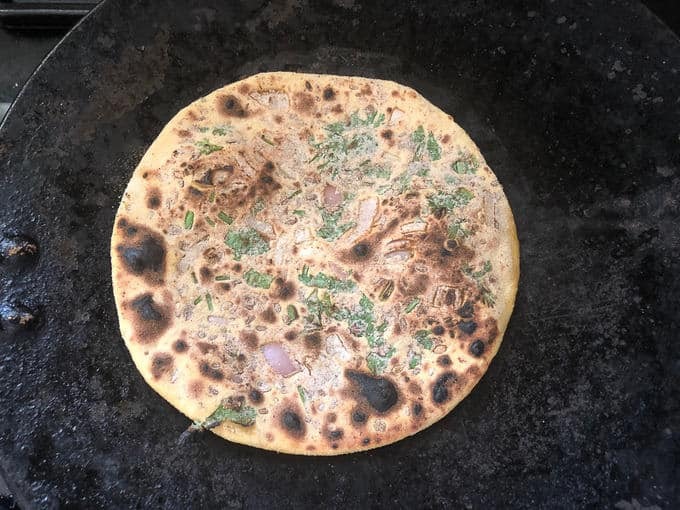 Here is how to make Missi Roti in dhaba style using a Tawa. 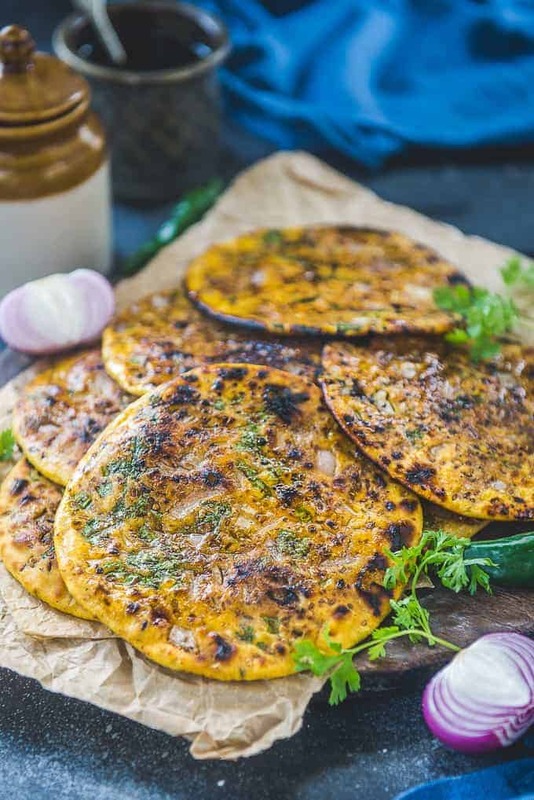 Missi Roti is a North Indian chickpea flour flatbread made using chickpea flour. 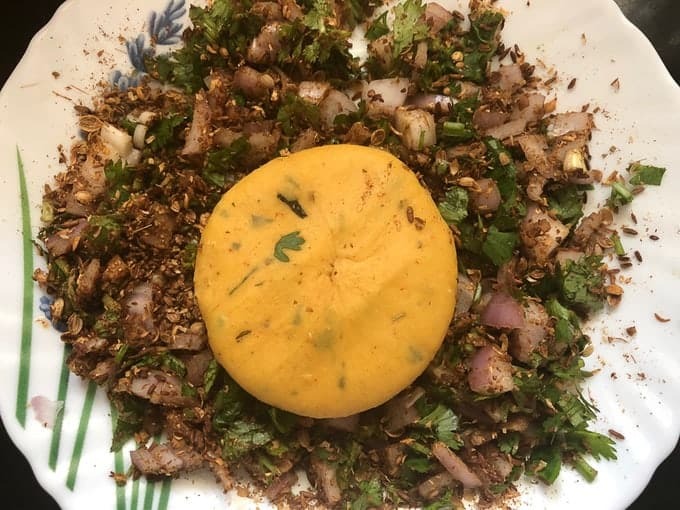 Usually, we think that it is popular across the Punjabi dhabas only. However, even in the Rajasthani cuisine it is equally liked and served with sabzis like Rajasthani Sev Tamatar ki Sabzi, Jaiphali Aloo. Much like other Indian breads, these rotis are healthy, easy to make and go very well with the Indian curries. 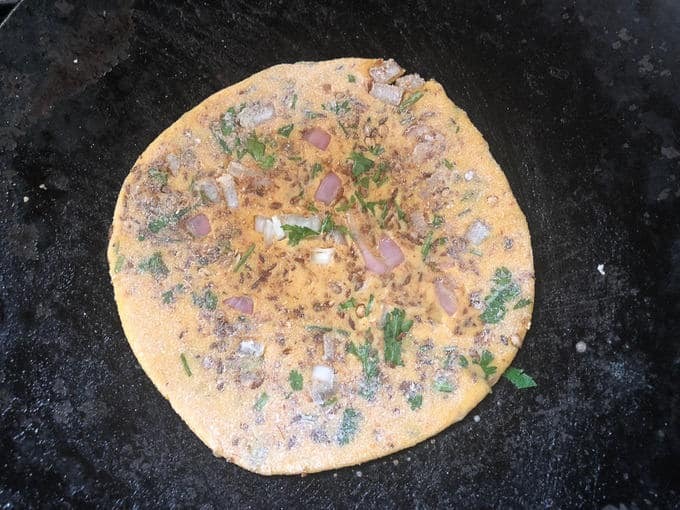 BTW, you can even make Bajre Ki Roti if you want to try out a new flatbread! During the good old days of my childhood, my grandma made Missi Roti in a traditional clay chulha and served us warm slathered with loads of homemade butter. 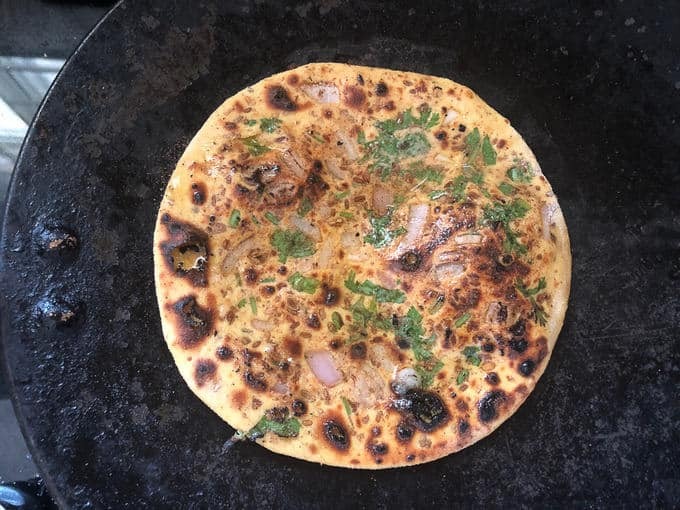 The roti had that earthy flavour from cooking over the woodfire. Because I do not really have a clay chulha, I made it on rolling board and prepared it on a tawa. But trust me, this recipe is a keeper. It turns out fabulous each time and people cannot resist themselves from asking for more. The process is super simple and th eingredients I use to make Missi Roti are quite different from what others use. 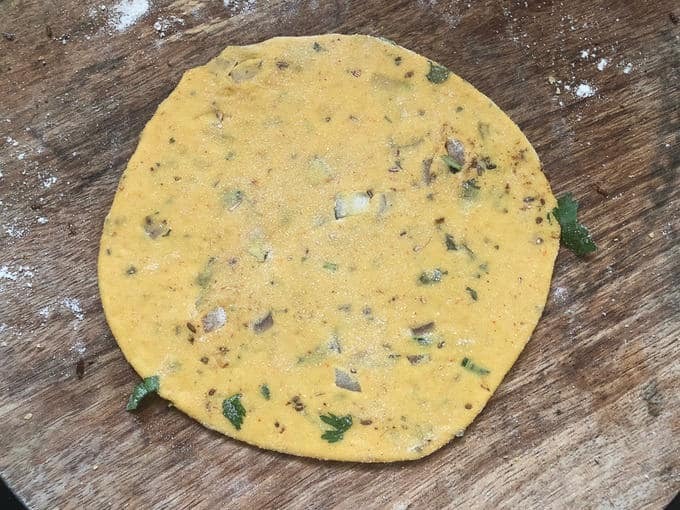 The most important ingredient to make this roti is Besan or chickpea flour. To amke this roti more tastier, I have also added some whole wheat flour and maida to it. Addition of cornflour (the white powdery one) gives it a nice crunch, so do not skip adding it. 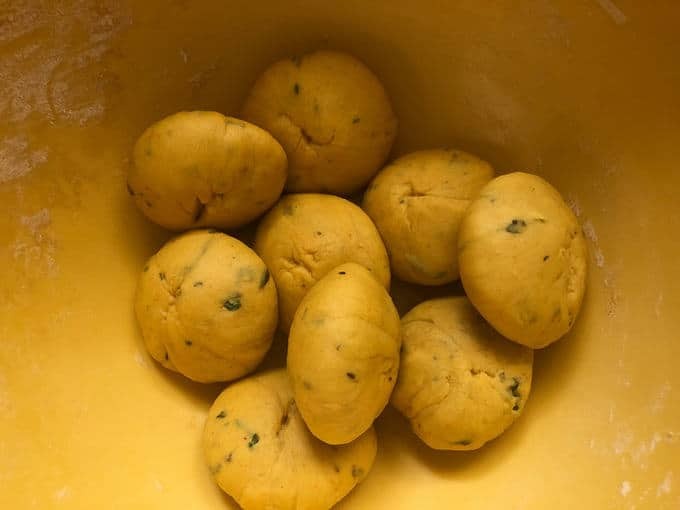 I have added some ingredients like ginger, green chilli, kasuri methi and dry spices in the dough itself. You can adjust the quantity according to your taste. the below mentioned quantity suits my taste and I always stick to it. 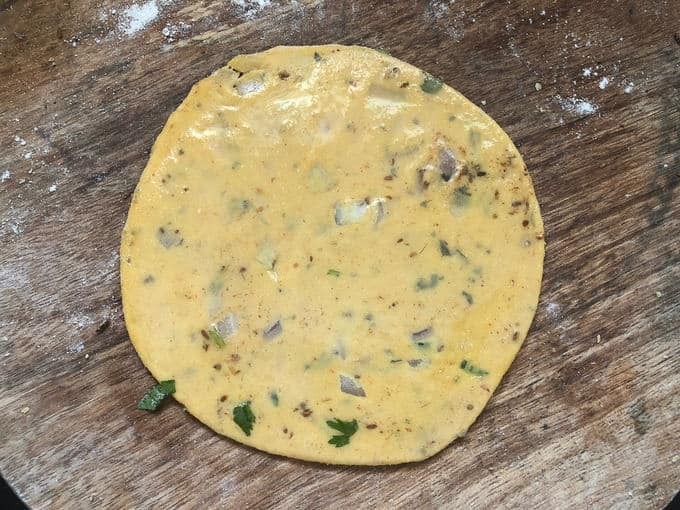 Most people add onion, coriander, cumin seeds etc in the dough itself but I came up with a unique method of layering these ingredients over the roti so that they come in each bite and makes the roti more crispier and look beautiful. You can skip adding these ingredients and make simple plain roties too. Most importantly, apply only butter or ghee over these roties and be generous with the quantity. These roties are slightly dry and slathering them ghee or butter makes them soft and easy to chew. 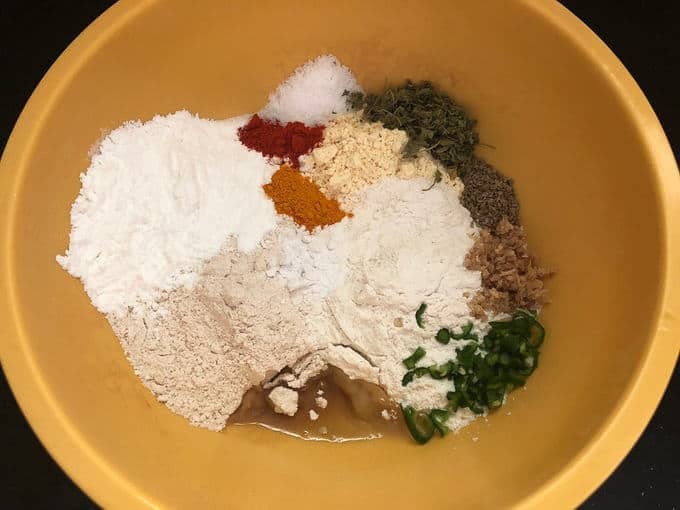 Add all the ingredients to make the dough in a bowl and mix nicely with your finger tips. Add little water and knead to make a soft dough. 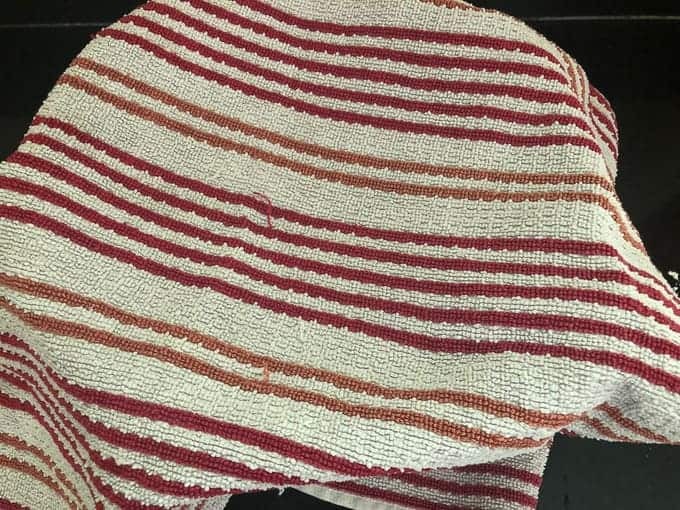 Cover the dough with a kitchen towel and keep aside for ½ an hour. 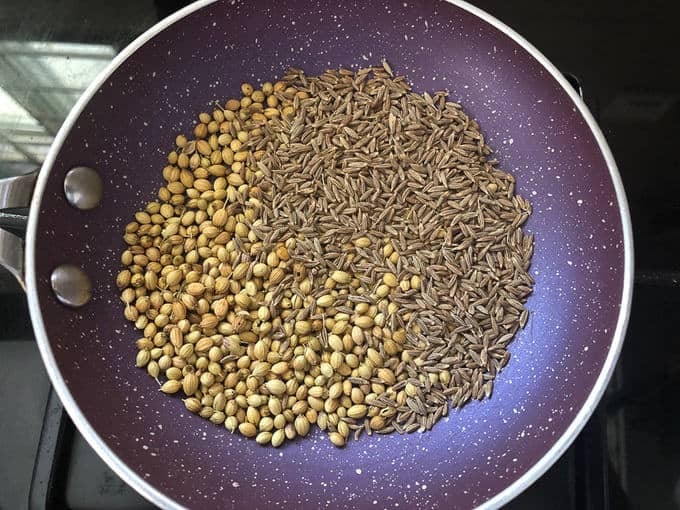 Dry roast coriander seeds and cumin seeds until slightly browned. 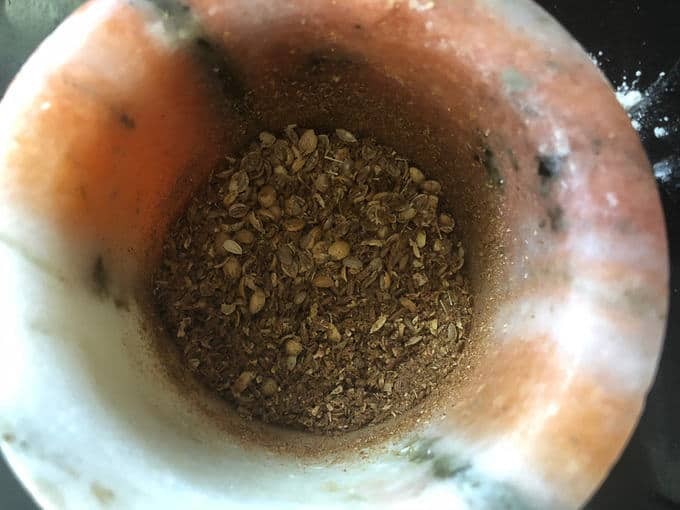 Crush them in a mortar and pestle to make coarse powder. 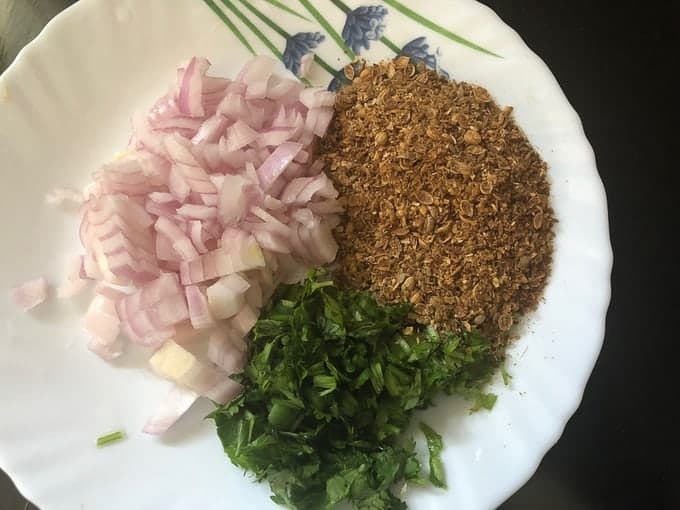 Mix this powder with onion and fresh coriander. Divide the dough into 8 equal parts. Make a smooth ball from each part. 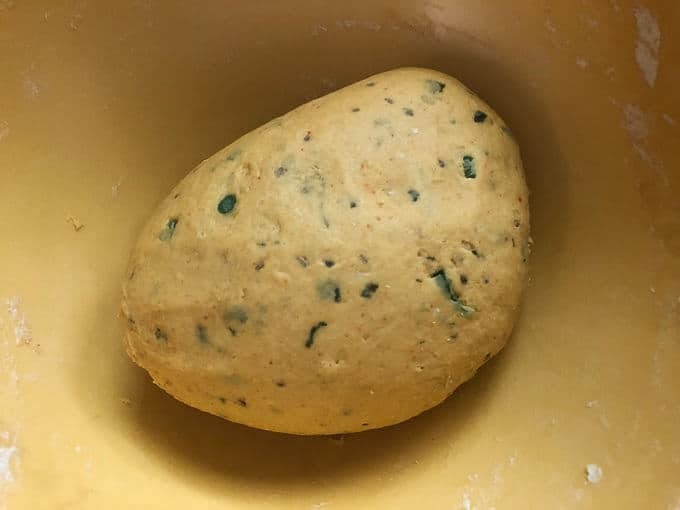 Press the dough ball into the topping mixture. Keep the topping side down and dust and roll the dough ball to a 4 inch disc. Apply water on the top of the roti. Transfer the roti with the water side down on the griddle. 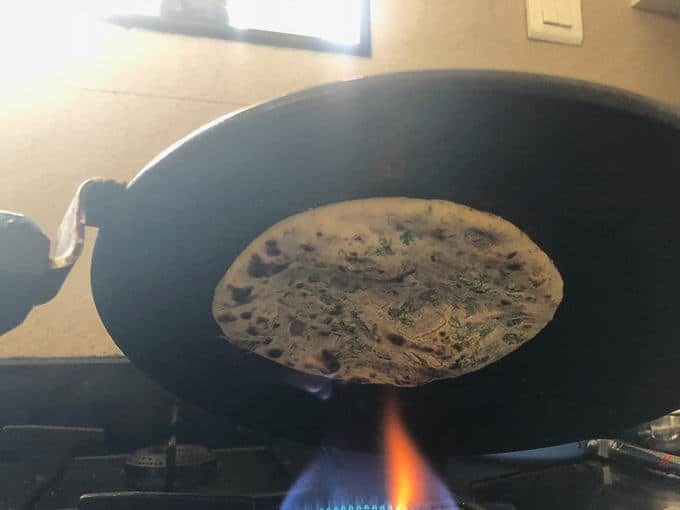 Turn the griddle upside down and cook the roti on direct flame until brown spots appear. Keep moving the roti to roast it from all over. Turn the griddle and cook the roti for another minute. Apply ghee on top and remove it from the griddle. 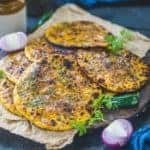 Missi Roti is Chickpea flour flat bread which is a Punjabi speciality and is mostly made during winters in tandoor or clay oven. Add all the ingredients in a bowl and mix nicely with your finger tips. 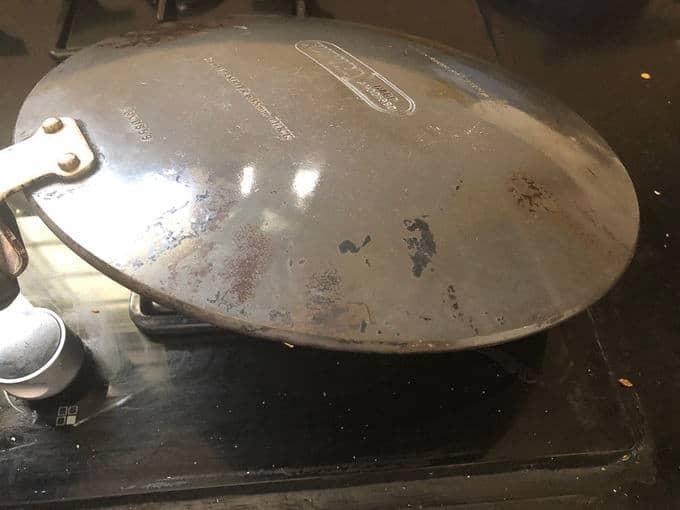 Heat a griddle until it is very hot. Divide the dough into 8 equal parts. Make a smooth ball from each part. Turn the griddle upside down and coo the roti on direct flame until brown spots appear. Keep moving the roti to roast it from all over. Make all the roties in the same manner. Serve hot with any curry or dal fry. These are so amazing, I am going to make them exactly the way you did. These look so tempting. Pinned and making them tonight ! Hi Neha, I made them for dinner today. They were fantastic ! Thank you so much for the recipe. My dad is a big fan of missi roti, thanks for the recipe, as usual awesome pictures. Hi Neha…Tried this recipe yesterday. My husband loved it 🙂 Next I will make this for entire family 🙂 Thanks for the recipe. Hi. I have a doubt. Is the conflour mentioned is the one we use in indo chinese recipes or is maize flour? If it is cornflour, then can u briefly tell the purpose of adding it in a dough. Hi, It’s the cornflour and not Maize flour. It makes the roties crunchier. from outside. Oh ok. Thanks. Anyways, I tried the same recipe today without adding cornflour becoz of the doubt. Still it tasted fantastic. Thanks a lot for the amazing recipe. Thank you for the fantastic recipe.. followed it as is and turned out really awesome. My hubby loved it.